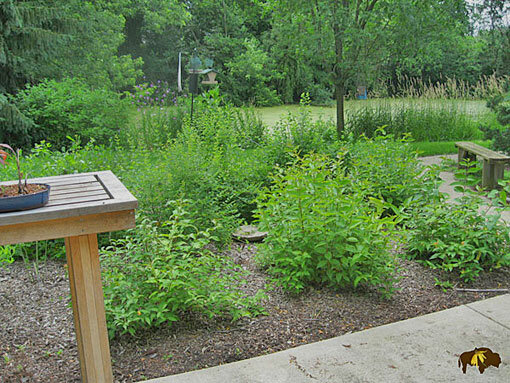 A tangled, weedy garden was transformed into a relaxing, meditation garden. 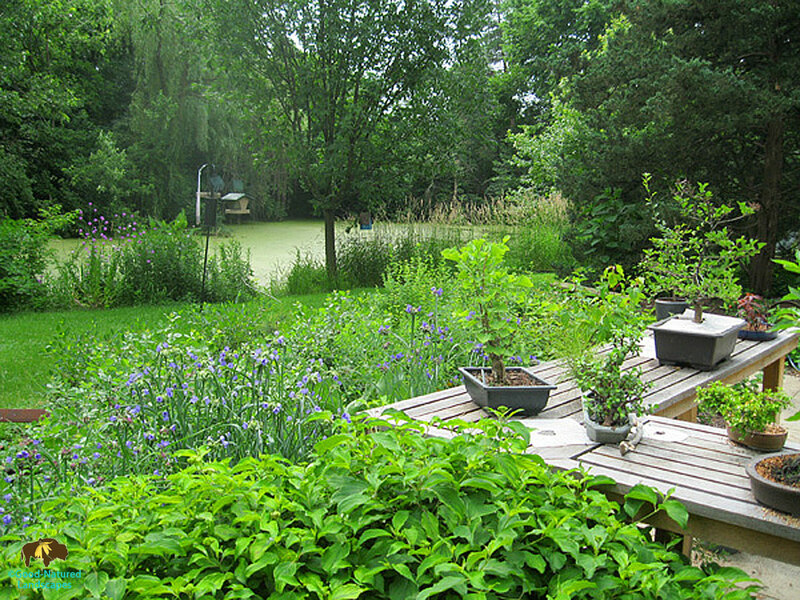 Now the homeowner can work on his bonsai with unobstructed views of the wetland in the background. 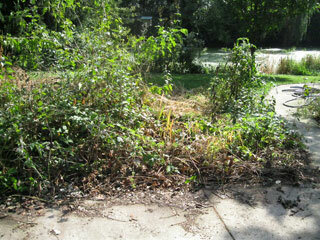 Views of wetland in background remain due to the selection of low growing native plants. 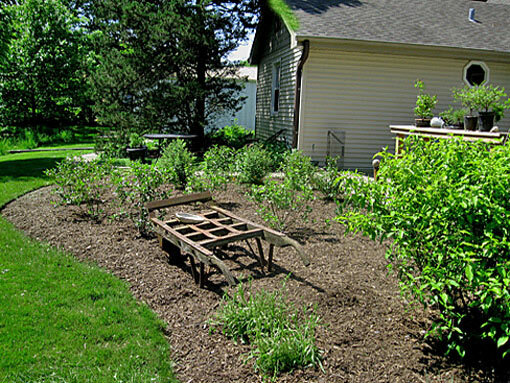 Homeowner’s antique cart discovered underneath weeds was reused as garden art.